Our natural healing instincts are elusive as we are exposed to so many products; bombarded with man-made laboratory treatments in the form of pills and potions. The latest and greatest pill that promises much and delivers little is sold by the thousands as the human race struggles with so many conditions that are common and baffles the wonders of science. Many Naturopaths have also fell victim to the pills and potions craze, prescribing expensive pills and potions instead of following natural laws. What a travesty for the very occupation that should know better. This does not say that there is no place for tablets, of course there is however not as the primary port of call. As children we are more intuitive and instinctive; able to follow natural laws and decipher what the body needs, rest more often than not, never soldiering on as the marketing gurus have you believe is a good thing. Animals get it right as well. When they are ill they may fast, rest in a warm spot, hydrate with fresh water and support the body in the healing cycle. They will assess what foods they need and if provided with the opportunity with eat cleansing and restorative herbs and grasses. Children and animals are very clever and I suggest we should take a leaf out of their book when we need to heal as mankind has followed animal instincts in healing since the beginning of time. We need to turn the clock back and start observing them. So we do need to reignite our healing instincts and follow natural laws that have stood the test of time for centuries. How can we do this? Well first and foremost we must ensure we rest when ill. OH NO I can hear you say; I CANNOT take time out I am too busy. OK then get really sick and over a period of time you will be stopped eventually with an even bigger problem. Resting and nurturing self is the way to go. Concentrate on lighter foods however preference should be given to healing juices and leave food out for a few days. Yes it is OK to avoid solid foods, however you must consume liquids. I would like to offer a remedy for the next time you come down with the common cold. 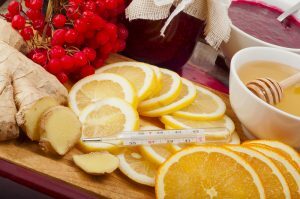 At the first sign of the dreaded lurgy attacking you; rest, stop eating food and start to consume cranberry, apple, orange and or lemon juice. Mix and match them yet keep filling up on this liquid. Continue to keep sipping water as well across the day. This can take a few days. It is absolutely essential this is done immediately you have the first signs, not leaving until it has taken hold. Keep warm as the warmer the body the faster the recovery. If in warm weather go outside for a short sunbath and feel the healing power of the sun. These tips are to start a Folk Medicine Revival as it is these therapies that have stood the test of time and will continue to do so.